An EBF Novce Stakes over 5f on good going. 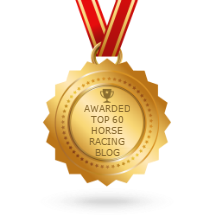 Eight two-year-olds take part, five with race experience and a debutante who may be of note. The betting would suggest this is a five-horse race at best. 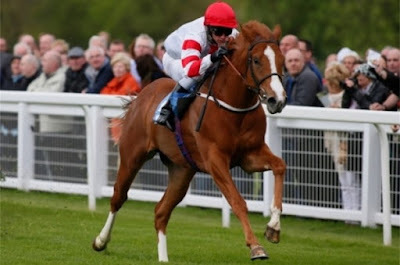 Computable is clearly well thought of by connections and I would consider racing at York on debut a sign of confidence. This son of Compton Place was quite well backed but his pre-race antics and general exuberance gave concerns this chestnut colt was on the edge of boiling over. This January foal cost £75,000 when purchased by the trainer at the yearling sales. Computable was much too keen in the early stages of the race and found himself a few lengths off the lead at halfway. He travelled well to just about lead but then tired quite tamely to finish a disappointing seventh. I can imagine connections were pretty dismissive of that performance and forward plenty of reasons why better should be seen today. I would be confident this January foal has the ability but he needs to settle in his races to show that latent talent. The stable feature a decent strike rate with fancied juveniles on their second start and they go well at this course. It wouldn't be a surprise to see this horse go very well but temperament can be the undoing of the greatest horses and if betting I would wait and see how he behaves in the preliminaries. For a James Bethell debutante, Flawlessly was a remarkably short price when making her racecourse bow over 5f at Catterick. To start at 13/8f suggested this daughter of Exceed And Excel had been going very well on the gallops. Interesting to see John Dance sending a two-year-old to this talented but underused trainer. This bay filly was a pretty expensive acquisition when fetching 80,000E at the yearling sales. To be fair, it didn't look the strongest of heats and the fatal injury of Wheneverwecan tempered the enthusiasm for reviewing the race too many times. Flawlessly was held by Merry Banter who is no slouch. Bethell must have been pleased with that second although probably hopeful of victory that day. She looks a straightforward filly and sure to run a good race although the price at 15/8 doesn't afford too much value. Kahrab has been fancied on both starts to date. This son of Dark Angel drifted markedly on debut when showing signs of inexperience and coltish at Musselburgh. Trained by Mark Johnston, this 110,000G yearling buy didn't have his mind on racing but wasn't disgraced in fourth place in what has turned out to be a fair race.Kahrab bumped into his old adversary, Lomu, who won on debut when racing at Hamilton on his second start. This grey colt has good pace but seems to slightly struggle to finish his races. The second, Whiteandgold, has won well since although she beat Kahrab with plenty in hand. He is the type to travel well but may need one or two of these to disappoint to take advantage. David O'Meara has been in good form with his two-year-olds this season and Savannah's Dream should know her job being a breeze-up buy for £42,000. The betting is the best guide and if priced 13/2 & less SP has respectable each-way claims. Simon Crisford has sent out a couple of talented juveniles in the last week. He has a number of very wealthy connections who don't mind putting their hand deep into their pocket for potentially class horses. Shasaya is a relatively cheap purchase compared to some but still far from pocket money at 50,000G. The betting tells the story with most of their major fancies and Crisford can certainly train a two-year-old to win on debut. No the easiest filly to assess. If strongly fancied in the betting one to respect. Conclusion: A tricky race with a few horses showing enough ability to go close in an average maiden. Kahrab doesn't look quite good enough but likely to travel well and could be the type to touch much shorter odds in running. If a few of these fluff their lines it isn't beyond the realms he could win although I feel he will fade in the closing stages unless this is a slow run affair and he clings on to grim death. On balance, a horse who will find something to beat him. The betting is the best guide to Shasaya. If very strong in the betting or going off favourite is the main danger. Flawlessly will run a sound race and of all these the most guaranteed to perform. The only downside is the price. If drifting to an each-way price makes appeal [unlikely]. I like Computable because I have little doubt he has ability but those debut antic are a concern. It was his first race so we could see a different horse today but I would definitely wait until you have seen this colt go down before betting. If he looks hetup then I'd be worried he may be far too keen and ruin his chance. At relatively short odds it is probably best to take a watching brief unless he resembles Mary's little lamb.